Welcome to the latest Tarot Blog Hop, however you’ve landed here with me. I had to bash on the door to join in this one, I totally missed the sign up period for it, but Maureen, being such a good egg, let me join in. She has however, set a heck of a challenge for Beltane (or Bealtaine). The Union of Opposites! And because of how my warped little mind works, the song by Paula Abdul and Opposites Attract came to mind. So, whether you came by my blog from Aisling herself, or widdershins from Arwen, I bid you welcome! Like everything in life, there are plenty of opposites. 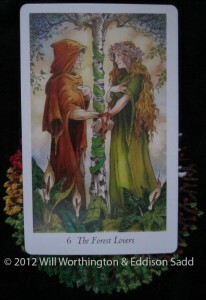 The same is true for the Tarot, but before I start pairing off opposites, what do you think of when someone says, opposites attract? For me, tall woman, short man. Tall man, short woman. Fat, thin. Ugly, beautiful (externally of course). Pale skin, dark skin. Red head, black head. These are all, I feel, superficial opposites that attract. 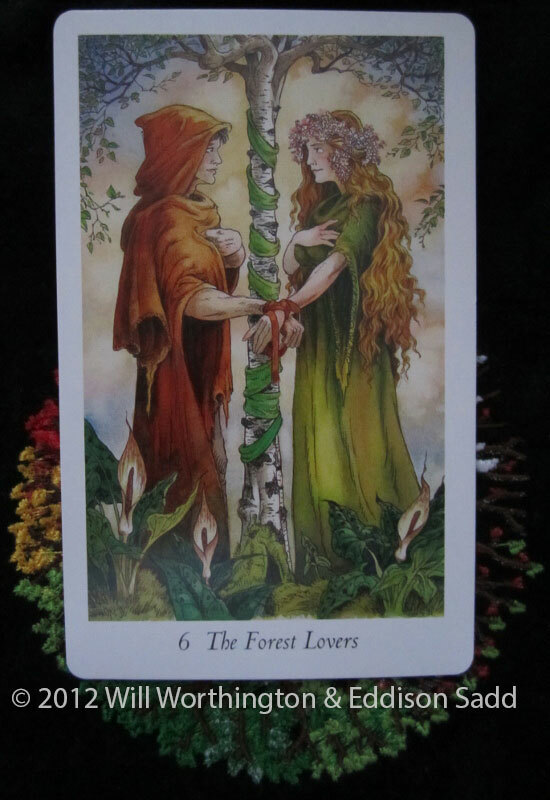 One of the main cards for Beltane, is The Lovers. 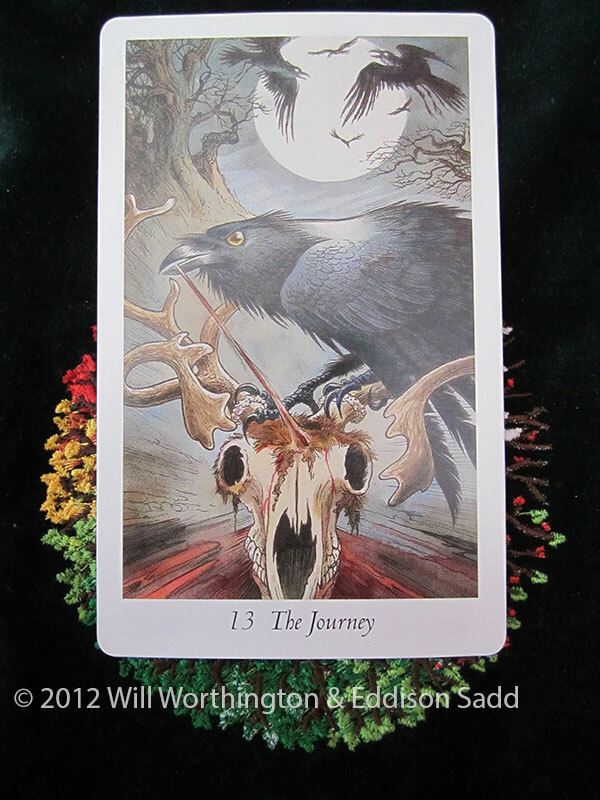 This is one of my birth cards, with its opposite number being Journey (Death). Lovers is about loving yourself. You can’t give to another if your pool of giving is empty! And Beltane is rather important to me, for it’s when I conceived our daughter. It’s opposite number is Journey and both are good times of the year to change direction. What doesn’t work can be changed. So, even though this is six months before the next winter of change, what isn’t working already? What do you need to change? Look more towards changing things from your perspective and working on the things from the inside. Spiritual changes are common around this time of year, now that for us in the northern hemisphere, things are warming up. For my friends in the southern hemisphere, where it’s getting cooler, at Samhain, this idea is almost perfect! Sorting out your inner self. What’s the opposite of doing nothing? Doing everything! But who says you have to do everything? Who says you have to do nothing? Well, doing nothing is doing something, but it can’t be that constructive, carrying on as you have been. If you’re not happy, the person who has the power to do something about it, is yourself! So, what are you going to do about it? With the sun shining here in the northern hemisphere, it’s time to get a shifty on and change things for the better, mentally and physically this Beltane. Now, for opposites on the music front, from Paula Abdul to the wonderful but late, Kirsty MacColl. 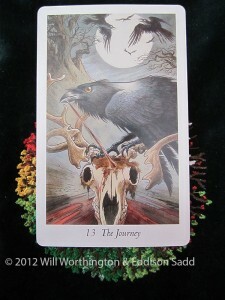 I’ve used The Wildwood Tarot for this blog post, as per normal. Hope you’re able to follow the links either above or below, so you can click onto the next hop. Enjoy! 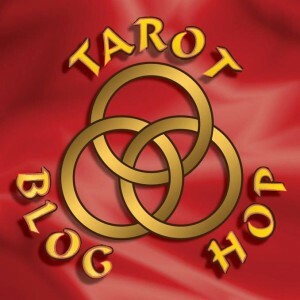 If you’d like to know when the next Hop will be, we’ve created a LIKE / Fan Page for the Tarot Blog Hop on Facebook. Or you can pop back to mine at any point, I’m usually in the mix, somewhere! As always, a pleasure! Blessed Beltane. It slips my mind sometimes that those in the Southern Hemisphere are opposite to where I am; it takes a little bit of brain power on my part to remember that. Not that I’ve much brain power left! For me, one of the constant union of opposites symbols is the balance between the Northern and Southern Hemispheres, the seasons of daylight is always opposite on the wheel from one another. Yes, they’re totally opposite, aren’t they? So are night and day; one cannot simply exist without the other. Lovely, Louise. Especially like how you tied in both hemispheres (I know we neglect those down under with our European pagan calendar). This is a time of shift in both directions. I really like this line “look more towards changing things from your perspective and working on the things from the inside.” really good advice. Lovely post and what a great bonus to find dear old Kirsty 🙂 Thanks! I love Kirsty’s music! She was taken far too early and far too tragically, IMHO.